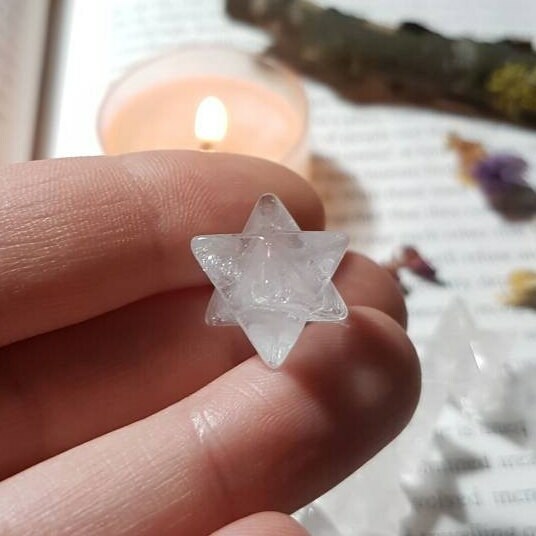 Listing is for one tiny Quartz Merkaba star. 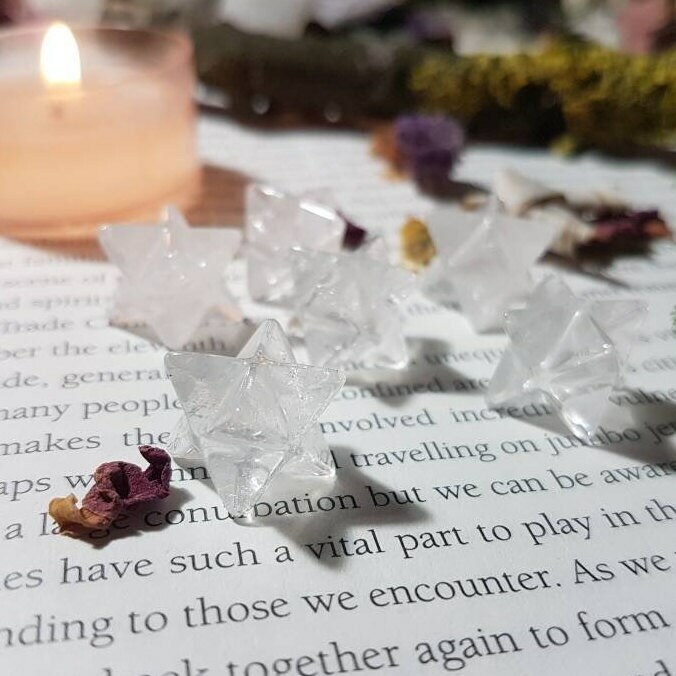 The Merkaba star, is the divine light vehicle allegedly used by ascended masters to connect with and reach those in tune with the higher realms. "Mer" means Light. "Ka" means Spirit. "Ba" means Body. Small hearts Measures approx. 1.2cm x 1.2cm. 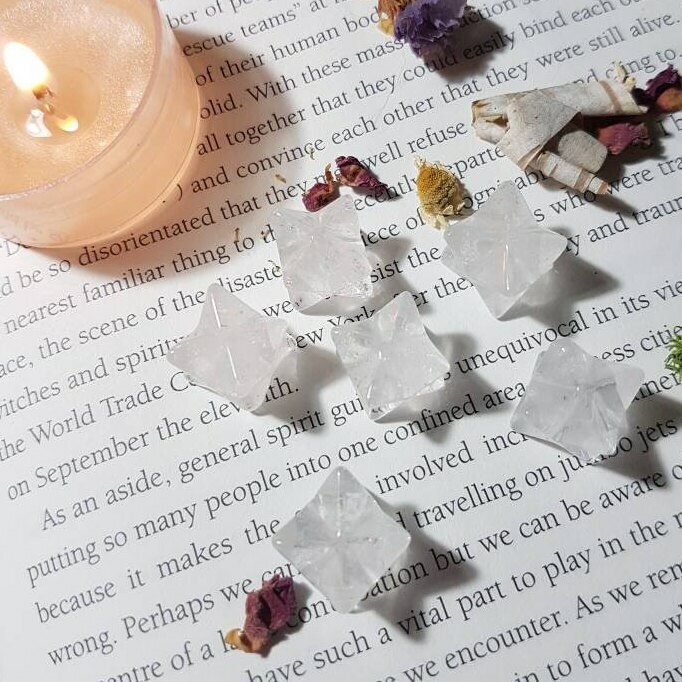 Comes with details of properties of the crystal, cleansing dhoop stick and an organza bag. 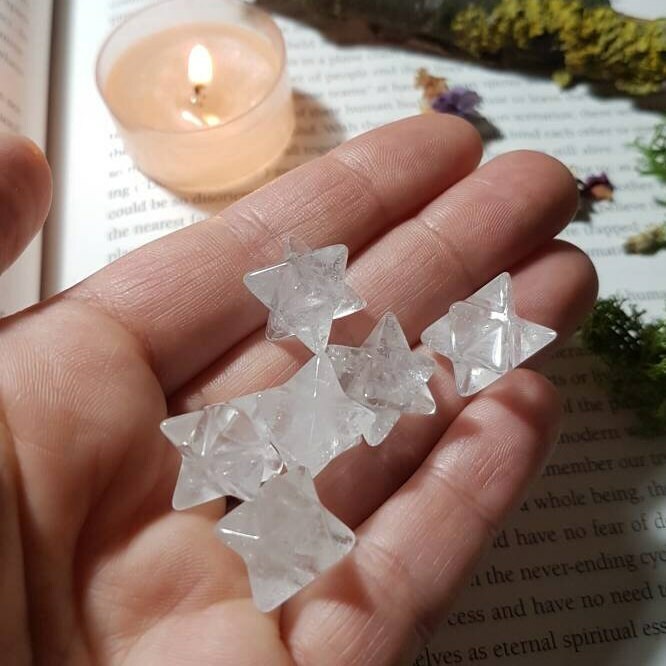 Gorgeous little stars 4 of them made a great base to ground the clarity of starlight. Many thanks.